The Junior Birkie, presented by Gear West,starts behind the Hayward Intermediate and Primary Schools and finishes at the American Birkebeiner Finish Line on Main Street in Hayward. There are three race distances for the different age groups. All registered skiers will get a Junior Birkie hat. The Junior Birkie Team Relays will start and finish in downtown Hayward on the American Birkebeiner Finish Line. Teams are composed of 2 or 3 members (depending on age group) of the same gender and age group. Teams may represent a club or school team, but no affiliation with each other is necessary. If you would like to do the team relay but are without a team, indicate that in your registration and we will do our best to match you up with another racer needing a teammate. Unofficial teams of mixed gender and/or ages will be allowed to race, but will not be eligible for awards. *Competitors must be in High School in the 2018-19 school year. Individual & Team Relay registration is online only, closing at 6:59 p.m. on Wednesday, February 20, 2019. No race day registration! Each relay team member must register individually and use the same team name. Teams must be comprised of athletes in the same age group and gender to qualify for awards. Youth skiers are assigned an age group based on their year of birth, not by age on race day. All races are freestyle technique – competitors may use skate or classic technique, however, there will not be any classic tracks set on the courses. Official teams must be the same gender and age group. Teams may mix gender and/or age group but that team will not be eligible for an award. Each age group and gender class is limited to 15 teams. Teams may represent a school or club team, however this is not a requirement. A participant without a team may still register and can be matched with another team. Thursday, February 21 from 12:30 p.m. to 3:00 p.m. at the registration tent in the Recovery Zone on 4th and Wisconsin Ave. 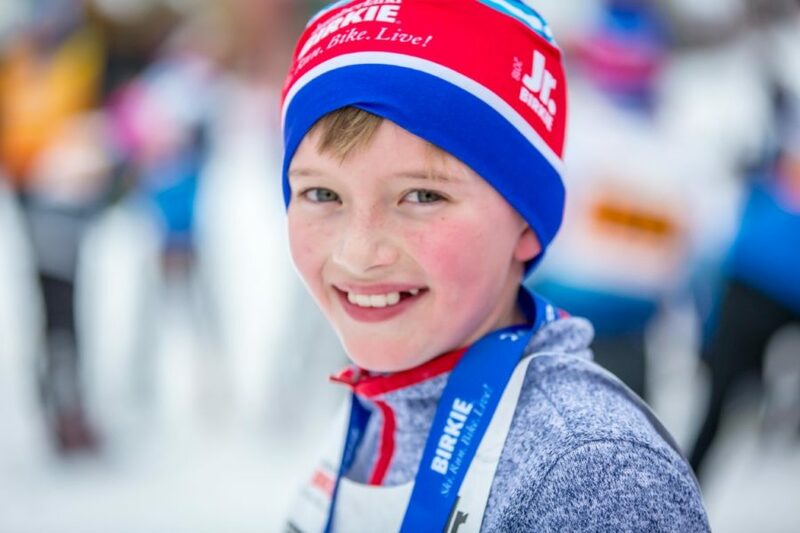 The first 350 racers will receive a Junior Birkie hat! 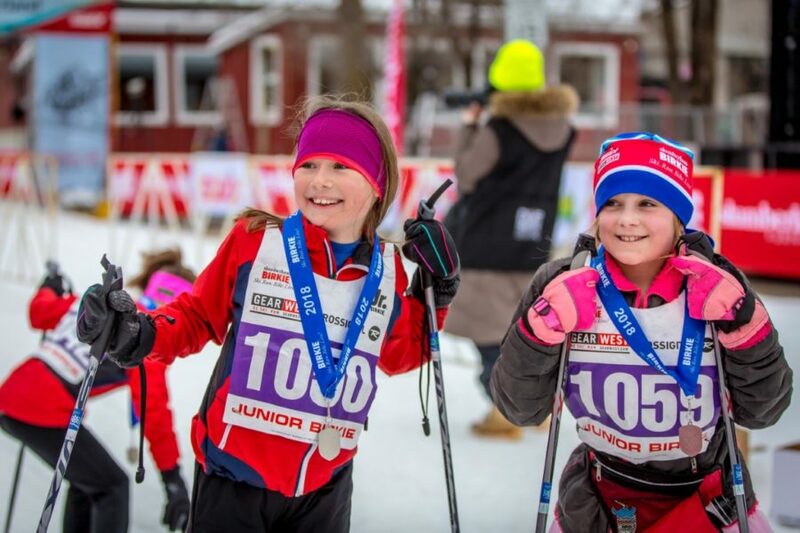 The Junior Birkie will start behind the Hayward Primary and Intermediate Schools. The course will travel through the adjacent golf course and head down Main Street. The 5K course will do two (2) laps on the golf course. The 3K and 5K courses will travel over the American Birkebeiner International Bridge, turn around, cross the bridge again and ski back up Main Street. The Junior Birkie finishes at the American Birkebeiner Finish Line on Main Street. There will be a continuous shuttle service between the Spectator parking lots on Hwy B, Bib pick-up near the Intermediate School and Start Area, and the Celebration Plaza near the Finish back to the Spectator Lot. Please help ease the traffic congestion by utilizing the designated parking lots and the shuttles. Team Relay Sprint Races will all take place on Main Street. The start and finish will all happen at the American Birkebeiner Finish Line. The Team Sprint Race course will not utilize the American Birkebeiner International Bridge. Refreshments will be available in the Celebration Plaza. Each age group race will have an award ceremony immediately following it at the Champion’s Stage in the Celebration Plaza. The top three boys and girls for each age group will be awarded a prize. The first place relay team in the boys and girls category for each age group will be awarded a prize.